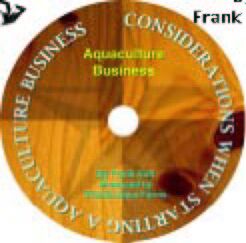 Presentation by Frank Hoff who has been personally involved in small aquaculture business for over 25 years and in aquaculture in general for 38 years. 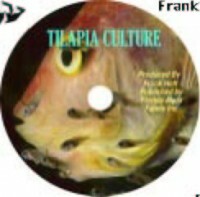 Part I, consists of 20 slides and is titled “So you want to get into a aquaculture business?”. This section helps define the devotion needed and the long term return on investment when dealing with live products. Part II, consists of 18 slides and titled “Preperation of your Business Plan”. This essential step-by-step plan when entering into business. Part III, consists of 16 slides and is titled “Marketing” Covers ways to enter into in the market and advertising techniques. 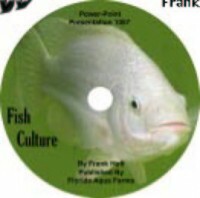 Good items for those interested in getting into a aquaculture business or for teaching others.